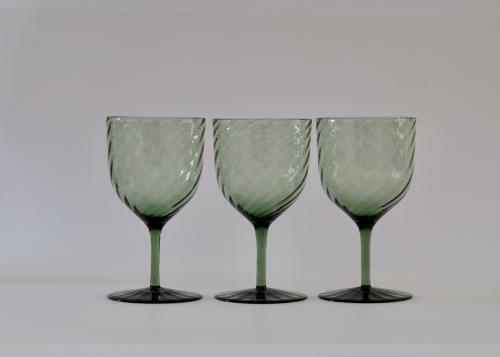 Three from a set of six dark green wine glasses with optical ribbing to bowl and foot. English C1870. Probably designed by Harry Powell Whitefriars and made by James Powell and Sons Whitefriars London. Condition: All in good condition.